Gold And Silver – China’s AIIB Spells “Dollar” Demise, Not Clear For PMs. war drums beating incessantly as the only viable solution the US has to offer. is lying is to see if his lips move. about to be flushed down into a debt abyss, Obama is itching to start a war with Russia. the US in increasing measures for what constitutes a new world economic leader. those countries in unrepayble debt situations. now the growing list includes what were once considered close allies. of countries that have already signed on is around 25, and growing. show for the masses must go on. stage remains as true today as it was in Shakespeare’s As You Like It, [Act II, SceneVII]. replacement world currency will not be denied. disorderly in the US as the “dollar” descends to its true intrinsic “value,” which is zero. [worthless] government bonds, the same ones the rest of the world is rejecting in toto. has taken over 4 years. Anything can happen, including a straight, precipitous drop. none of it has been translated into higher gold/silver prices. happen to each metal. Our read starts with silver. day activity can help answer the question sooner than waiting for the daily to complete. mind, there is still no confirmation of a bottom, at this point. market information are not random. PMs have not, and will not change. Timing has been an issue, but owning them is not. 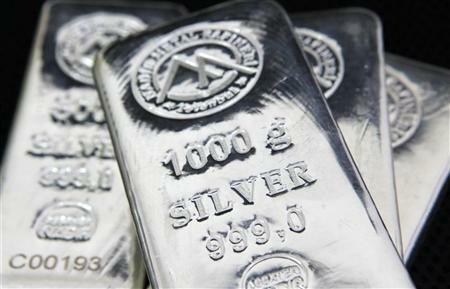 ← Gold And Silver – When Will PMs Rally? Not In 2015.